Italia in Miniatura - AUSl v. Rodriguez - Gros Rimini - RDS Stadium - Shopping Center "Le Befane"
Extension of bus line 4 to Rimini Ospedale (4H) will also be carried out during the summer with weekdays hours. On the way back, take via Roma. Bus line 8 frequency 40 minutes on weekdays. 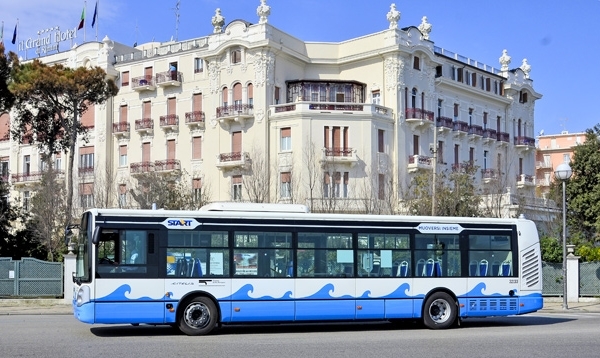 Free-of-charge shuttle bus service from Rimini's coast to Le Befane Shopping Center from June 23rd to September 2nd.